I love how soft the yellow color is around the couple in this photo. 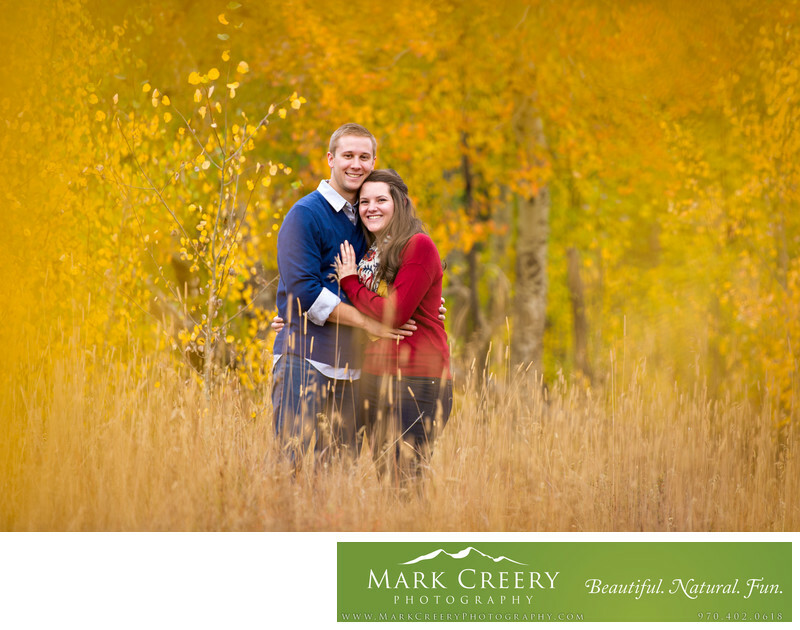 I chose a small tree to shoot through and found just the right distance to create a blurry halo effect around them. Location: Estes Park, Colorado 80517.